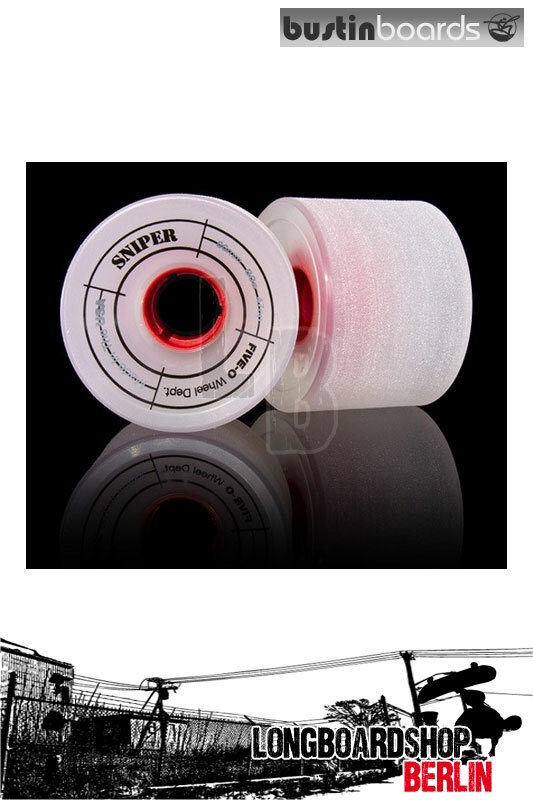 66mm diameter with a 47mm contact patch. Square lip shape offers more grip through corners while the stone ground surface slides consistently from day one. The large contact patch provides a smooth roll and is a little more resistant to flatspotting. Five-O thane slides like sugar butter over all types of pavement and is sure to leave its mark on your stoke and the road, all at once.